To pull off a successful charity gala, golf tournament, benefit auction and more, profits don't "just happen." Recently we discussed the need for fundraising events to create a profit plan that (1) keeps the focus on fundraising throughout the entire evening and (2) incorporates a wide variety of revenue streams. One income stream nearly every event should use is the cash appeal, also known as a fund-a-need, fund-an-item or fund-a-cause. Cash appeals have always been a staple of fundraisers and even more so recently, as studies show we're increasingly happier spending our money on memories and Experiences rather than things. Some people attending your event may feel they have enough "stuff" and aren't interested in buying more tangible goods. Nevertheless, they are there to support your cause. 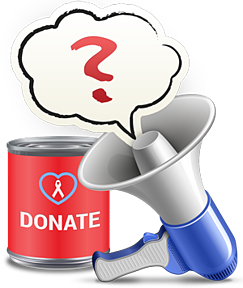 How can you capture donations from those who may be passionate about your mission but don't see anything on the auction tables they want to buy - or better yet, want to give in addition to their auction winnings? Though this one income stream can have a huge impact on the night's revenue, we all know it's not easy to jump on stage and ask for cash. Fortunately, there are 4 proven strategies you can employ to make the task easier, efficient and ultimately more lucrative. 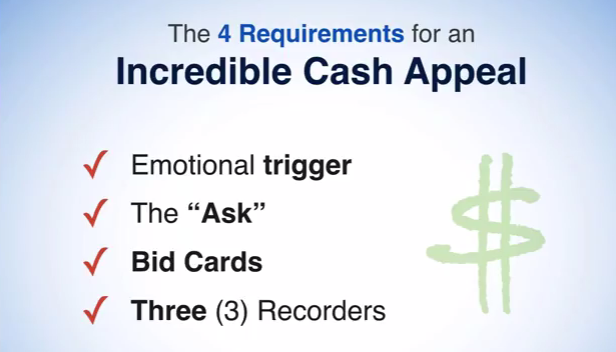 For the scoop on all four of these critical cash appeal elements, read on. Then put it all together and get even more tips by downloading the free Fund-a-Need Handbook. When is the best time to incorporate a cash appeal into your event? Before the live auction, during, after? There's different schools of thought on this, but as a general rule of thumb, the best opportunity is right after a powerful emotional trigger. Here's what we mean. I did an event last year for a suicide prevention event in a small community. A family had lost their mother to suicide, and her 12 year old son came onto the stage and delivered a wonderful speech. Towards the end of his speech he thanked the audience of 600 people. He said, "I especially want to thank the people we have here tonight from the local hospice. I don’t know what my brother and I would have done this past year without the hospice child grief program. They really did help us. I wish every child who has lost a parent to suicide could go to this program...but I know they can’t, because it costs $1,000 per child." He started to cry, then turned and walked away from the podium. There was not a dry eye in that hall. So I stepped up to the stage and said, "You know, I would be happy to sponsor a child to go through that program. I’ll be the first to pledge a thousand dollars. Is there anybody here that would join me?" We had 56 people raise their bid card numbers in the air. Just like that, we had collected $57,000 in a matter of moments. Danny's story is a perfect example of striking while the cash appeal is hot. A powerful emotional trigger left the crowd in the palm of his hand, and while the cash appeal had not been a planned part of the program or evening, the opportunity arose and he was able to seize it. 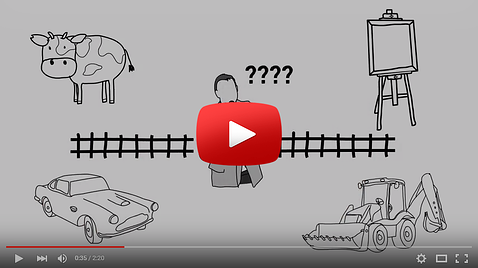 Effective emotional triggers can come in the form of a compassionate video, inspiring speech from a leader, a deeply moving testimonial and more. The ask comes when you demonstrate a specific, measurable and urgent need of your nonprofit. The need could be a hospital foundation funding new baby incubators, or a cancer foundation raising money for specialized equipment or groundbreaking research. What needs work best for cash appeals at fundraising events? Ideally you would focus on one target item (i.e. a new playground or job training program) rather than general support (which you can acheive year-round with other giving campaigns). Having a target item and/or dollar amount gives guests a goal, and they will cherish a sense of team accomplishment when they reach it. Also smart: using a need that can be purchased or fulfilled as many times as there are willing donors. This leaves room to go above and beyond a cash appeal's initial goal. Again, it's not easy to ask for money without making guests feel nickel and dimed. You want to be prepared. You may not know exactly when the right moment will strike, but you can practice going through the ask with your benefit auctioneer or emcee. By being mentally prepared, you will exponentially increase the likelihood of carrying out a smooth and effective cash appeal. Importance of Hiring a Benefit Auctioneer: One of the best ways to get the most out of your cash appeal is by employing the services of a professional benefit auctioneer specialist. Unlike a local media personality or other type of auctioneer, benefit auctioneers are professionally trained in conducting Fund-a-Needs properly and effectively. You need bid cards if you're planning to have a cash appeal. During the "Ask," here's what happens. You ask for cash in varying amounts, starting with the highest amounts. People begin raising their bid cards, especially those with whom you've "primed the pump" of giving (more on this in a future post!). A flurry of activity begins to ensue, as more and more people look around the room and see hands rising. They are personally considering your invitation to give. 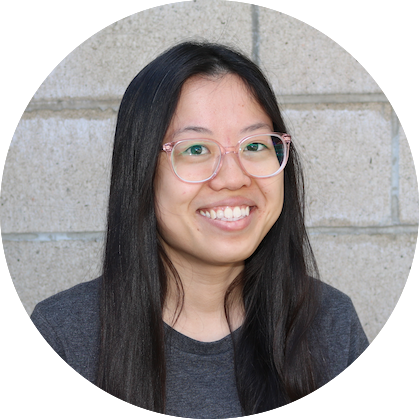 You need to be able to capture donors' information very, very quickly to collect all that money. Without bid cards, people who are swept up in the emotion may put their hands up, then forget that pledge and walk right past the cashier table when the evening is over. 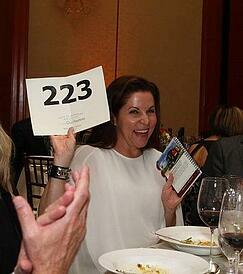 To capture each donation, publicly acknowledge those gifts by announcing bid card numbers. 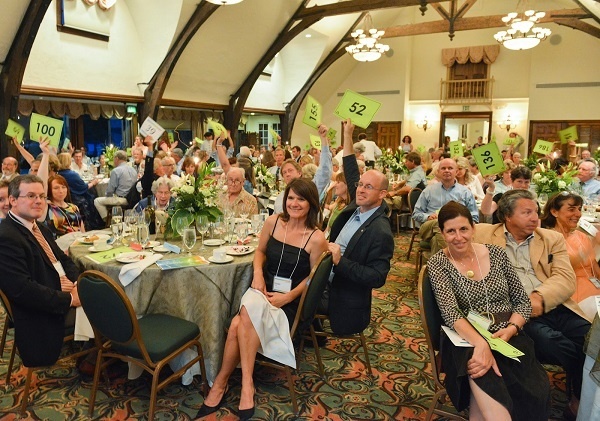 This brings us to the final must-do for an effective cash appeal: having 3 volunteers at-the-ready to record bid numbers as the auctioneer calls them out. Why 3? One can easily miss a number, two may record an error or discrepancy, but three virtually eliminates the likelihood of making a mistake. 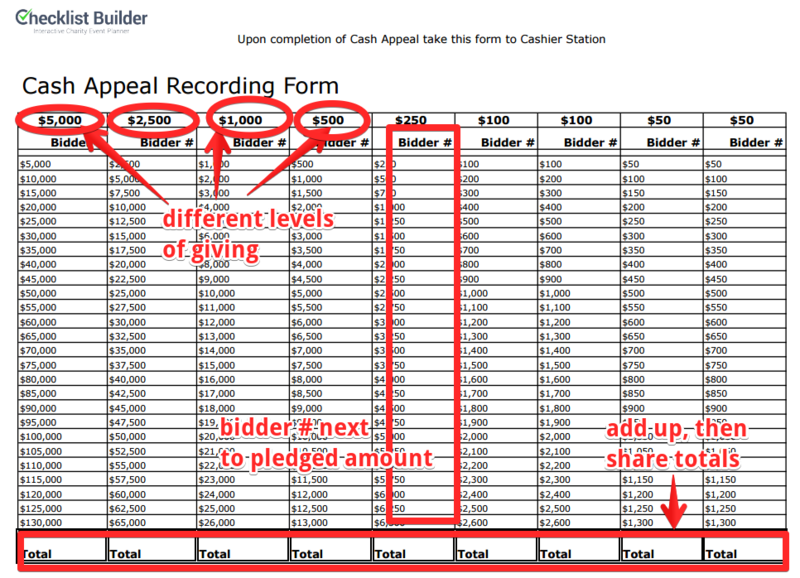 Check out the sample cash appeal recording form available with Winspire's free Fund-a-Need Handbook. 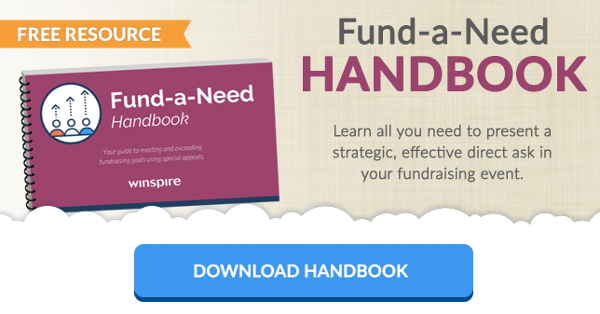 Download a customizable template, plus dozens of tips for fund-a-need best practices, below. If you've never tried a cash appeal, it can seem like a lofty goal. But if you've done a good job setting the stage with an emotional trigger, we have seen time and again that supporters will open their wallets and pledge cash to support your cause. Your turn - Have you tried a cash appeal at your event? What did you use as an emotional trigger? How were the results? Let us know in the comments!